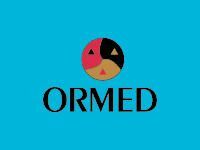 New ORMED Herbal Tincture Blends Fortified with Essential Oils for Use on Lyme Symptoms - TBD NRG combines Savory essential oil with Teasel root, Noni fruit, Burdock root, Ginger root, and Cinnamon bark for fatigue. oral drops come in a base of distilled water and organic, gluten-free ethyl alcohol. TB-NRG is a disinfectant herbal compound combined with Savory essential oil to help relieve fatigue and support adrenal function. energy, fertility, and endurance. It has also been tested as an antimicrobial, including against Borrelia. stomach ulceration through inhibition of the bacteria H pylori. safe, mild component. It may be an immuno-modulator (reduces TNF-α, increases macrophage activity), anti-allergic (leukotriene inhibitor), regulates abscess formation, helps eliminate pus. blood sugar by increasing hepatic storage of glycogen. It is a pancreatic stimulant (exocrine and endocrine). than the ginger extract. Ginger also kills the bacteria H pylori. three Aspergillus spp. and one Fusarium spp.) and dermatophytes (three isolates, Microsporum gypseum, Trichophyton rubrum and T. mentagraphytes). (general), Gonadotropic: increases serum androgens. Savory oil was active against Escherichia coli, methicillin-resistant Staphylococcus aureus (MRSA) and against yeast (Candida albicans). The essential oil of S. cuneifolia was also found to inhibit the growth of medically important pathogens such as S. aureus and E. coli. Clinical Uses: spasmodic colitis, gastroenteritis, diarrhea, candidiasis, all infectious disorders, neurasthenia, depression (psycho-motor retardation), asthma, rheumatic disorders, and topical infections.